I’ve done it again. I got all wrapped up in a crazy-busy week and didn’t write a blog post for 6 days. Ugh. And guess what? I won’t be really writing one today either. Instead, I’m going to give you a very abbreviated run-down of the past few days. 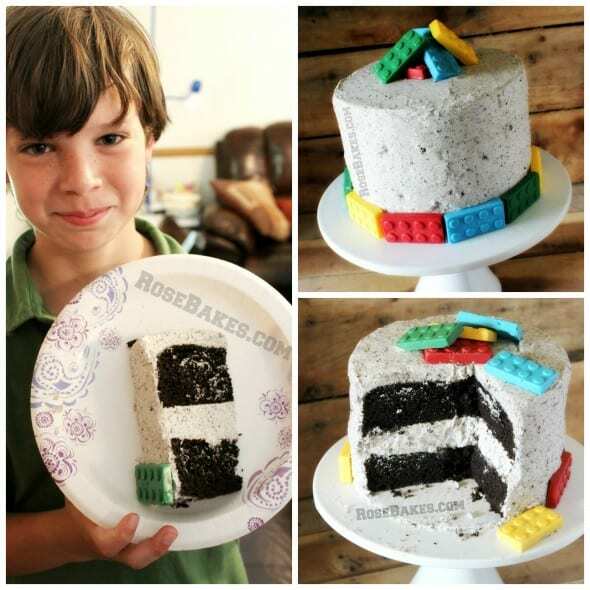 Caleb asked for a Lego cake with Oreo Cream filling for his 13th birthday and I did NOT want to disappoint. He got *almost* as much filling has he did cake… and he LOVED it!! 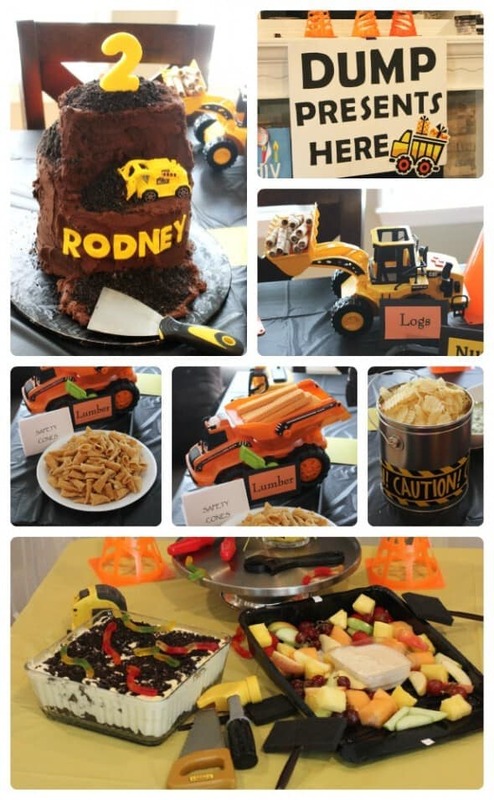 I’ve mentioned before that my sister-in-law Amy and her mother ROCK party planning and those are just a few pics from his party! She’s SO awesome!! 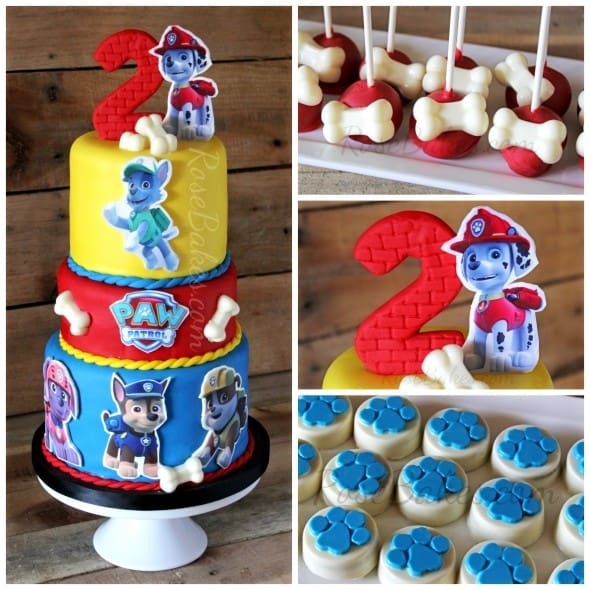 And then, my most thrilling cake of the week… this Paw Patrol cake and sweets for Jamie. He’s the little boy in our community who drowned a few weeks ago (I mentioned it on Facebook here) but thanks to his Daddy knowing CPR and some amazing medical staff and technology, and well, most importantly, the mercy of our Lord, he is alive and home got to celebrate his second birthday with his twin brother Harvey! He did suffer a brain injury from the accident and he has a long road of recovery ahead so please continue to pray for him and his family. Having said that, I can say with certainty that I’ve never been more grateful for the privilege of making a cake! …turned black around his right eye 🙁 I don’t “do” blood, so it was more awful for me than him. Just kidding. Sort of. Okay – that’s cruel, I know… but really? 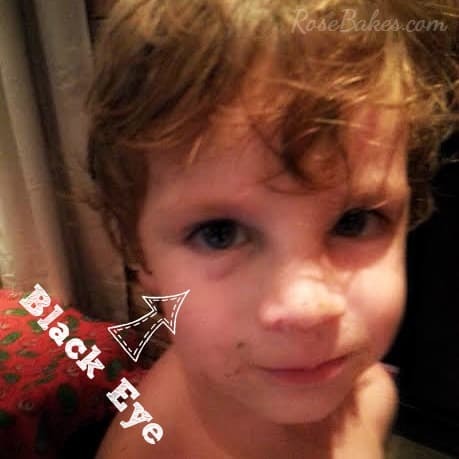 Why do kids have to bleed SO much?? 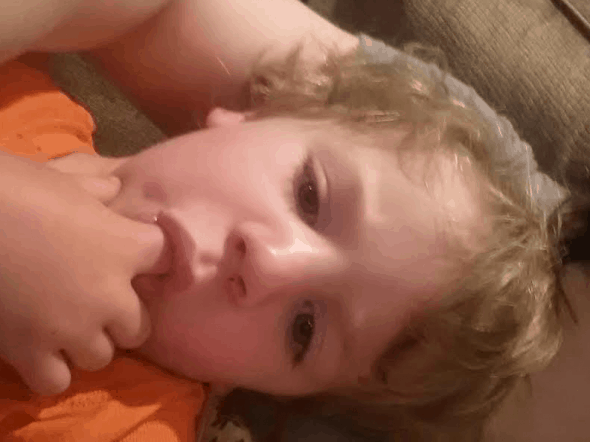 This Mommy can’t take it!! And please excuse all the miscellaneous dirt on his face. He’s a country boy through and through. And yesterday was our first day back of homeschooling and it was, um, um, well… it was a Monday. With 6 kids. And they are not used to a routine. Enough said. 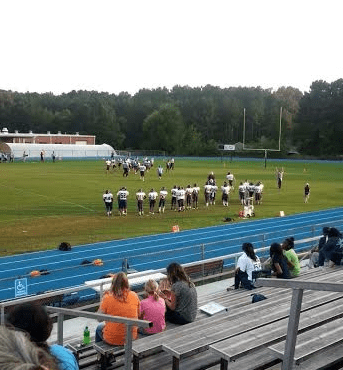 But we did go see my nephew’s play 8th and 9th grade football, so that was fun! We had burgers from the concession stand and I didn’t have to cook, so there’s that silver lining! Then today I woke up to a very sick daughter and after getting her to the doctor and getting her on meds, I go out to find my truck locked and after getting a spare set of keys brought to me, I find my battery is dead. I might have been a little on edge and I still had places to go, things to do. Next, I also saw a new doctor today (a few minutes late thanks to my previously mentioned issues) – a cardiologist – who feels my heart condition (it’s not that serious – “condition” sounds ominous – it’s an arrhythmia) is probably exacerbated by my stress levels (WHAT? Me?? StReSsEd???). I’m starting a new medication and hoping that for the first time in months really, maybe my heart will act right. Then I went to Walmart. Need I say more?? 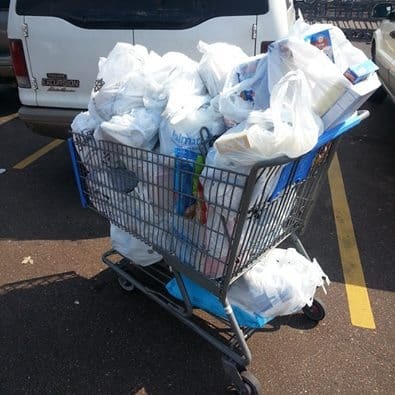 Wait… except… does anyone want to pitch in on my grocery bill? Pretty please?? So there… this is my non blog post. What have you been up to for the last week? Hope you get to take a break, and get rid of some stress. you are an awesome mom, caretaker and cake decorator, but you need to slow down and take care of yourself so you can continue doing all of that in a much slower manner. They need you! That is quite a week! I’m always amazed at the amount you get done in so little time. I am so thankful that your live is like everyone else, but do try to rest and let God heal your heart completely .. I love looking at your cakes trying to do the same so say a prayer for me that mine will look as good as yours. 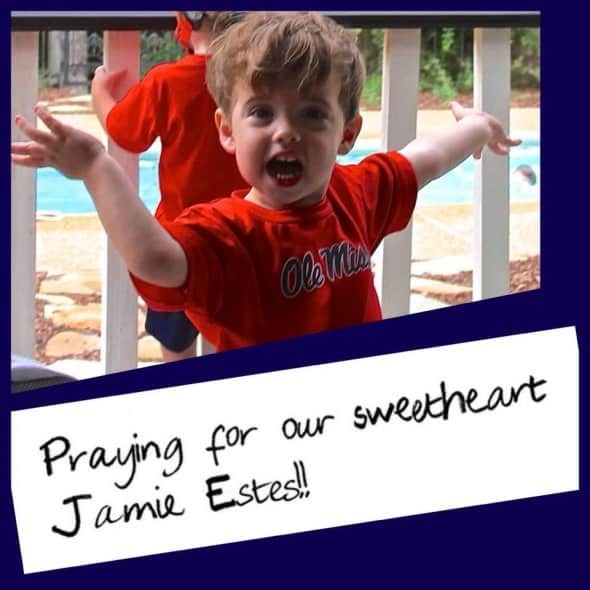 But I want to take a moment and give a shout out to our God who had and does have his hand on Jamie E. Will continue to pray for full recovery for him. Have a blessed night. I agree with the previous comments – your family needs you – slow down! But I can’t really say anything since I understand about stress and how hard it is to get rid of some of it. Take care of yourself though. And I love to see the photos of your cakes, etc. The Oreo type frosting got Pinned on my private board since I am thinking of using it for our daughter’s 21st birthday cupcakes. Not to downplay your troubles, BUT…….My father-in-law saw me naked today. He, nor I will ever be the same. The crazy things that happen at the nursing home. Ohmyword Terry. Should I even ask or wonder why you were naked at the nursing home?? I’m sure I don’t want to know. But I did get a great big laugh out of you telling me!! <3 you! It’s a long story, but it has to do with me changing sweaty clothes after a workout with walkers and wheelchairs. 😉 Get your mind out of the gutter. I was just loading them in the trunk. Dear Rose, I so want to send you a hug! How did you accomplish so much in one week? And I thought you were going to be accepting less orders for a little while! But what a joy it must be to be able to bake for Family, and while every birthday and life is worth celebrating, its something to be reminded of it. You’re an inspiration — I don’t know how you get it all done! God bless you! Reading one of your old post today. I hope your medicine is helping you with stress. YOU may have to say NO sometimes for orders, to help with the stress level. Your daughter decorating looks great. She will be good for the business. AS all ways your writings are great. Hi first off GREAT JOB SARAH and second a pat on the back to you mom for being a great teacher and example. My question for you is please tell how I can get my purple icing as vibrant as yours. I’m making cake pops ( lakers theme ) but i need and want that purple that’s on Sarah pompom cake. Please help! 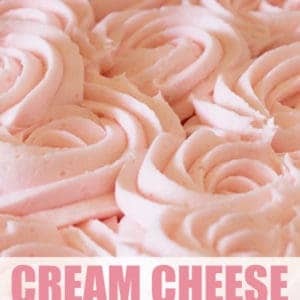 Also do you know what i can add to make extra black buttercream icing. I have used wilton and americolor in their black, but I failed to get the color I need. I use Americolor Regal Purple. It works beautifully!! Can you please tell me what you used for the dogs on the paw patrol cake. Edible images attached to fondant then cut out. How do you get the edible image? 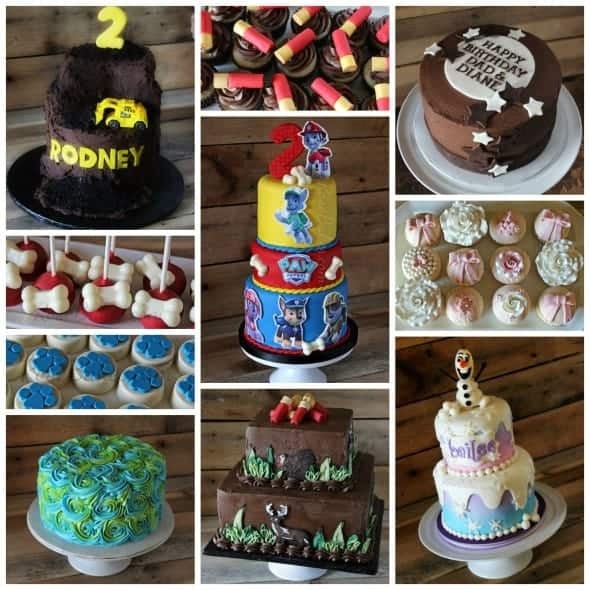 first your work is wonderful and very inspiring in such I am now ready to try to Bake..lol I wanted to know how you made the bones on the cake pops in the paw patrol picture. Thanks and hats off to you for all you do!